Ditch your old boxy music box/dock and say hello to Teddy. 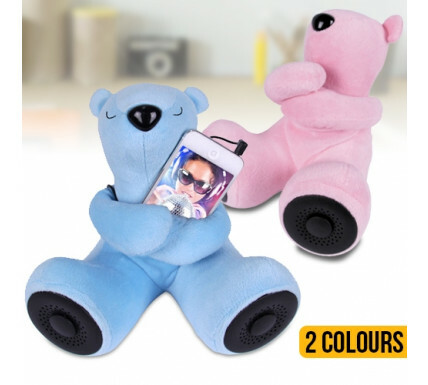 Armed with full range speakers in the feet, Teddy will hug your MP3 player (iPod, smartphone or any portable music player with a headphone plug) and then play back the music through the speakers. Powered by batteries, Teddy can come with you on journeys or sit anywhere, ready to go.